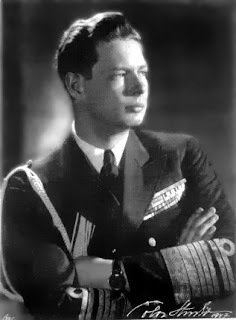 The more I learn about Queen Maria of Romania, the more I find that her grandson King Michael of Romania fared much better in the care of his grandmother than with his father. In a way History repeated itself, as Queen Maria who had Michael's father at an early age, who be wise enough to help care for Micheal, who became king after the death of his grandfather at the age of five. Maria, showed great courage during the Great War ( aka World War I) and her Grandson did the same, in a much more dangerous time, during the Second World Wat.